Dr. Frank Pace was born and raised in Dover, Ohio. He attended Case Western Reserve University where he received a B.A. degree in psychology in 1969. He was a quarterback on the C.W.R.U. football team and a pitcher on their baseball team and earned three varsity letters in football and four in baseball. He then received his dental degree from Case Western Reserve University's School of Dental Medicine in 1973. During his senior year he was a volunteer at the Cleveland Free Clinic providing dental treatment to children who otherwise would have had no access to dental care. He was the recipient of The American Society of Dentistry for Children's Certificate of Merit for outstanding interest and proficiency in dentistry for children. 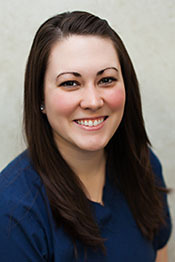 Following graduation from dental school, Dr. Pace served a two year residency in pediatric dentistry at Cincinnati's Children's Hospital Medical Center (one of the top children's hospitals in the United States). It was here that he received his specialty training to care for the oral health and dental and facial development of infants, children and adolescents, and special needs patients. This training also included a strong emphasis on interceptive and comprehensive orthodontic treatment. On July 14, 1975, he opened his pediatric dental practice in Bowling Green, Ohio just two blocks away from our current location. Dr. "Paste", as many of his young patients call him, is particularly proud to have helped so many of his patients grow up with healthy, happy smiles and is now having the opportunity to do the same for many of their children. 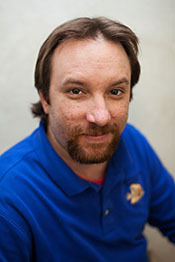 He is also on the Board of Directors for The Children's Resource Center where he served as Treasurer for several years. Dr. Pace also is an Assistant Professor at The University of Toledo Medical Center, where he serves as a part time clinical instructor in the pediatric dental residency program. He is also on staff at Wood County Hospital. Dr. Pace has a daughter, Jamie, son Nicholas, stepson Johnny and stepdaughter Jessica. He is the proud grandparent of eight grandchildren. 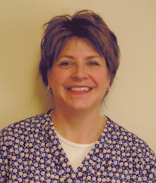 Hi, my name is LaDeana and I began working at the office as a dental assistant in January of 1990. I really enjoy working and visiting with the children every day. I started out as a chair side dental assistant but now you will see me working at the front desk greeting patients and helping with their scheduling. I am also licensed in dental radiology. I have two children and two step children. I enjoy cooking and gardening in my spare time. Hi, my name is Jaime. 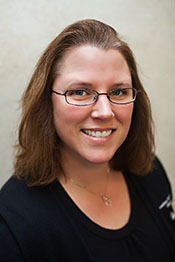 I have worked at Bowling Green Pediatric Dental Group since 2001. You may encounter me in a couple different aspects of the office. I began my career as a dental receptionist in 2001. 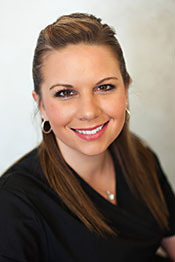 After a few years as a receptionist, I realized my passion for the dental field and aspired to become a dental hygienist. 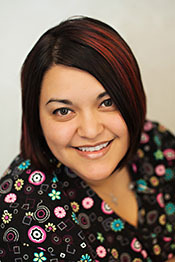 In 2009, I graduated from Owens Community College as a Registered Dental Hygienist. Both of these positions have allowed me to provide quality dental care to your children. I truly enjoy being a part of our team and working with all of you! In my spare time, I enjoy spending time with my family, Ken, his daughter, Taylor, our black cat, Gizmo, and our new baby boy, Bryce, who was born in August 2013. Hello, my name is Amy! 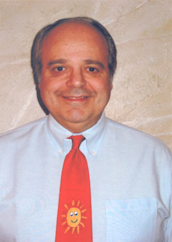 I started in the dental profession in August of 2000. I attended Penta Career Center during my junior and senior years of high school. In May 2002, I became a C.O.D.A. (Certified Ohio Dental Assistant) and also received my dental radiology license. In 2009 I received my EFDA license, along with coronal polishing certificate from The Ohio State University. The staff and I work hard to ensure every child's visit to our office is as much fun and pleasant as possible. We all strive for perfection in everything we do everyday. We all truly enjoy working with the children. I find my job here at the office to be very enjoyable and rewarding. I love each and every one of the children and enjoy working with our wonderful staff. In my free time I enjoy camping, fishing and being outdoors. Most of all I love spending time with my family and friends. I have a spoiled little puppy, Chloe. Hi, my name is Dawn. 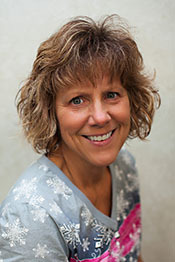 I am a registered dental hygienist and have worked for Bowling Green Pediatric Dental Group since 1979. I enjoy working with the children as our staff strives to provide them with the best care possible. 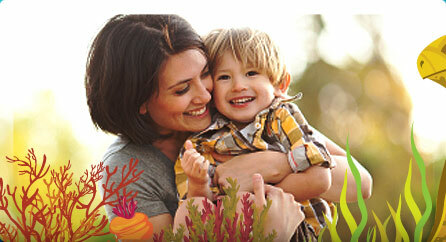 It is so rewarding to know you have helped a child have a wonderful experience at the dentist. My husband Bruce and I have been married since 1983 and we have three daughters. In my spare time, I enjoy traveling and going on motorcycle rides with my husband. My name is Nancy and I am an R.D.H. (registered dental hygienist) and E.F.D.A. I received my dental hygiene training at Cuyahoga Community College in Cleveland, Ohio and graduated in 1977. I received my E.F.D.A. certificate from Ohio State University in 1980. 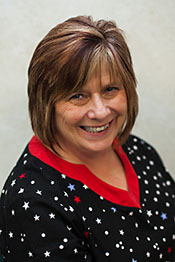 I have been working at Bowling Green Pediatric Dental Group since December 1998. Working with children has been very rewarding for me. It has taught me that kids are a lot smarter than we adults give them credit for. Also, they are very inquisitive and often times say the darndest things - and that makes my job very interesting and fun! My name is Gloria and my career in the dental filed includes 6 years as a dental assistant before completing my dental hygiene and E.F.D.A. education at Owens Community College in 2005. Working in Dr. Pace's pediatric office has been very rewarding and fulfilling. I feel it's very important when working with children to establish trust and provide comfortable, quality care. I started working for Dr. Pace in December 2006 and he and the rest of the staff and the patients quickly made me feel right at home. My husband Mike and I have been married for 17 years and welcomed our son Cruz last fall. We enjoy watching Cruz grow, traveling and having cook-outs with our family and friends. I enjoy establishing strong relationships with our patients and their parents and look forward to meeting new friends at the office. Hello! My name is Emily. I am a registered dental hygienist. I graduated from Owens Community College and BGSU. 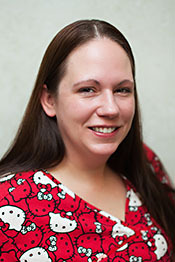 I have been working at the Bowling Green Pediatric Dental Group since 2011. 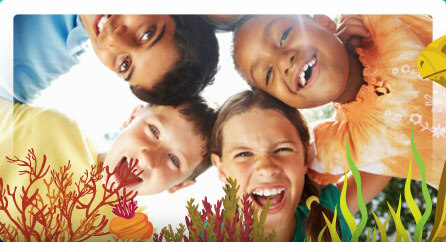 I love working with children and helping to make their dental experience enjoyable. 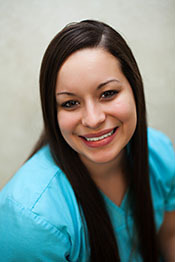 The staff here constantly strives to provide optimum care to all of our patients. In my spare time I love spending time with family and friends, shopping, and going to the zoo. We hope to see you soon! Hi, my name is Becky. I graduated from the Dental Assisting program at Penta Career Center. I had many great years as a dental assistant. After starting a family I was able to be a stay at home Mom. I was blessed to be able to spend that time with my children. I enjoy being around people and helping them however I can. I am one of the people that work at the front desk. I enjoy talking with the families and getting to know them. Working with children is so rewarding. I love to see them smile and hear them laugh. It’s great to see how excited they are when they get their balloon after their appointment. It’s an honor to be able to work with the great staff here. Your children are under excellent care at our office. Outside of work I love to spend time with my family, go on walks, and scrapbook. Hello, my name is Jordan. I completed my dental assistant training at Owens Community College. After school I completed an internship at this office and started working for Bowling Green Pediatric Dental Group shortly after. I am certified in dental radiology and CPR. I really enjoy working with children as they make every day fun and fulfilling. I have an amazing daughter named Jemma. In my spare time I enjoy being outdoors, camping, and spending time with my daughter. Hi, my name is Nick. My duties include looking up and verifying patients insurance, weekly inventory and ordering, and other organizational tasks. I enjoy spending time with my family and friends. If I am not out on the golf course (weather permitting), I can usually be found cheering on my favorite teams including the Buckeyes, Browns, Indians, and NY Rangers.